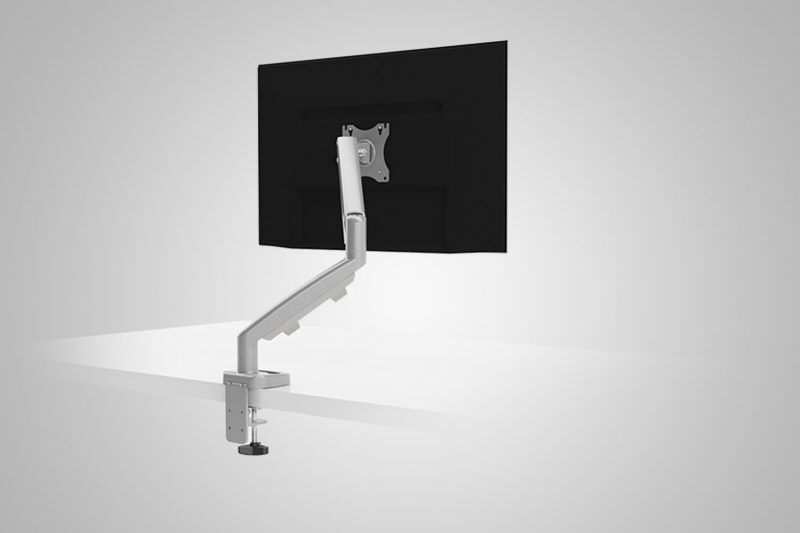 View cart “Silver Dual Monitor Arms” has been added to your cart. Want to buy the Mod-E Pro frame only? Click here. 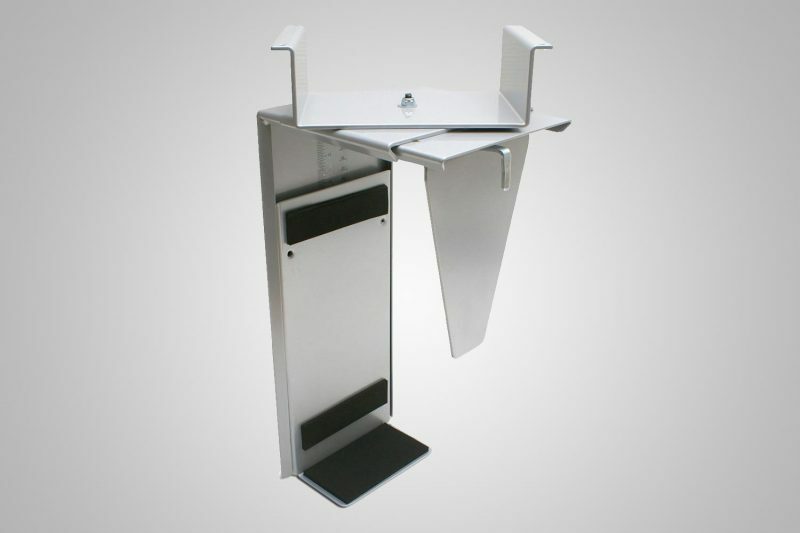 Experience our finest, most highly advanced and most reliable adjustable height standing desk to date. 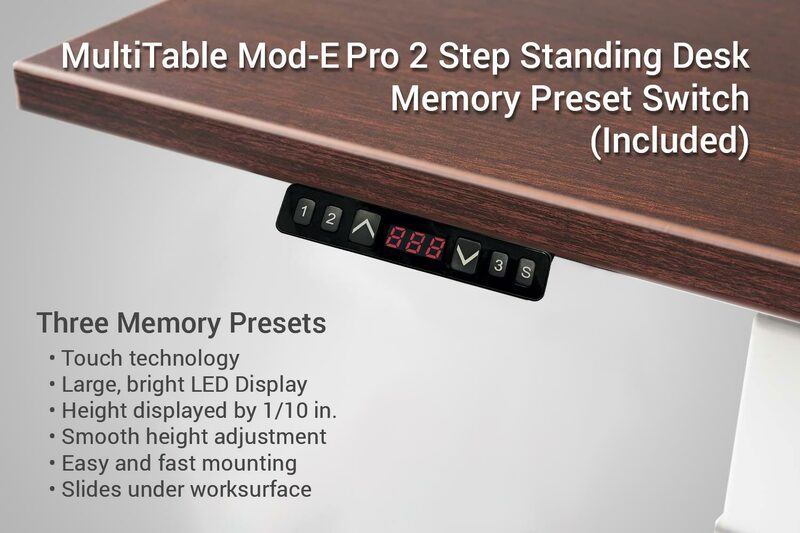 The MultiTable Mod-E Pro 2 Step is our latest achievement in height adjustable technology and engineering with all the added features our customers have requested over the years. 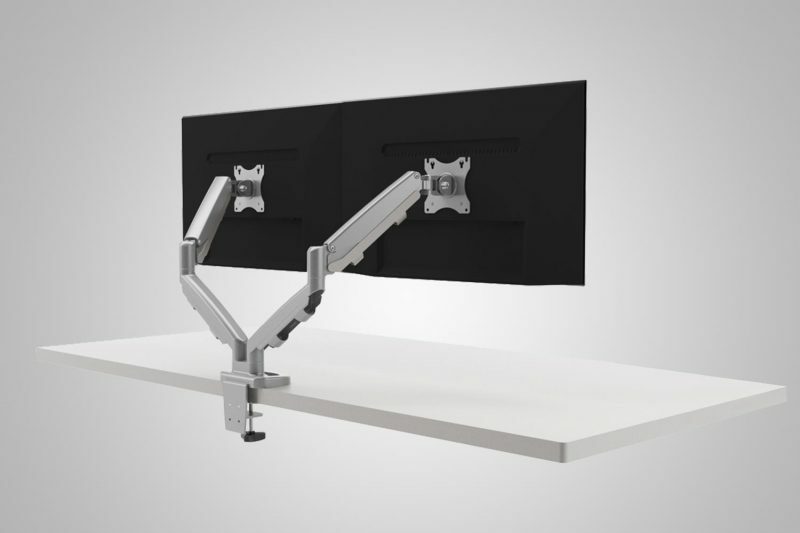 The MultiTable Mod-E Pro 2 Step provides adjustable cross channels, and top supports making it one of the most adjustable and versatile desk frames on the market. 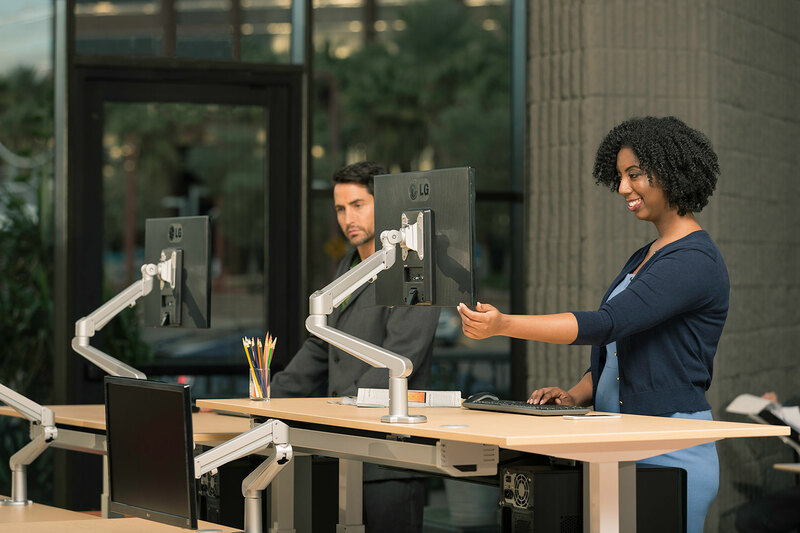 With the ultra quiet height adjustment, low standby power consumption, anti-collision safety, ADA compliant, exceeds BIFMA x5.5, and Digital programmable switch with 3 memory settings included, it is truly the finest standing desk available. 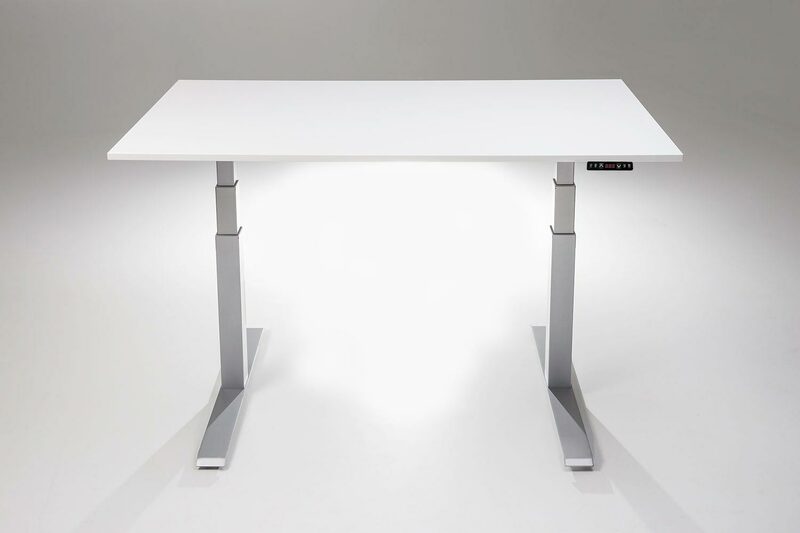 Take your entire office to a whole new level with a sit to stand desk that you can rely on for years to come. 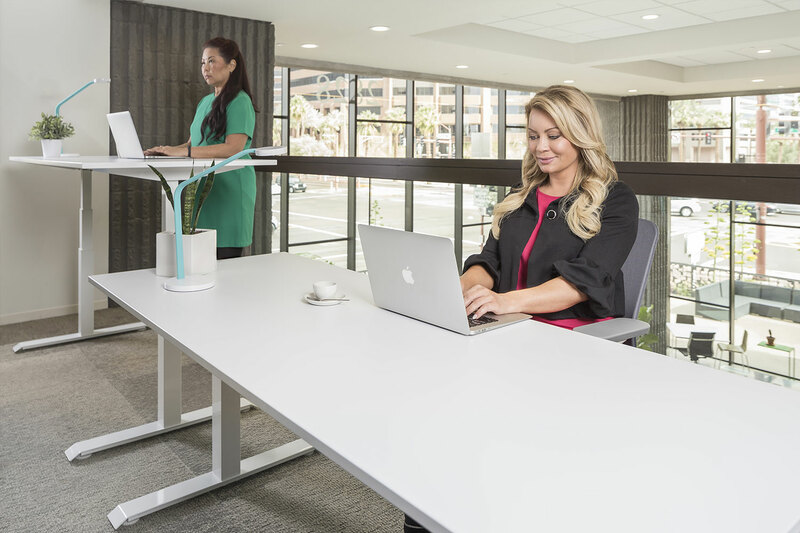 Backed by our highly experienced customer service staff and an unheard of 5-year limited warrantyand 7 year mechanical warranty, MultiTable has offered the highest rated standing desks since 2010. Excellent standing desk for engineers Our engineering department added these desks to our office, and they are perfect for working on computers and mechanical drawings simultaneously. It's sturdy and simple, it has a nice clean look, and it stands at a great height. When adjusting it, it doesn't shake or make noise like other electric desks do that I have seen in the past. I'm very happy with this desk, and recommend these for anyone who works in drafting or engineering. Five Stars Very nice and surprising easy to use. I put it together myself over lunch and was programming heights in no time. I stand for an hour then sit for an hour. I can't believe how my legs, shoulders, and back feel so much better by the end of the day. No more aches and pains when I get up from sitting all day. I feel remarkable. Five stars. A must buy, no doubt Exactly what I was looking for... easy to set up assuming you can follow a simple set of directions. For awhile, I had been searching around for an adjustable standing desk that was 1) affordable and 2) not too clunky. This desk fulfilled both requirements and I would recommend it to anyone. I now have one laptop plus 2 external monitors that I use this with the large table top, and I have plenty of room to grow. 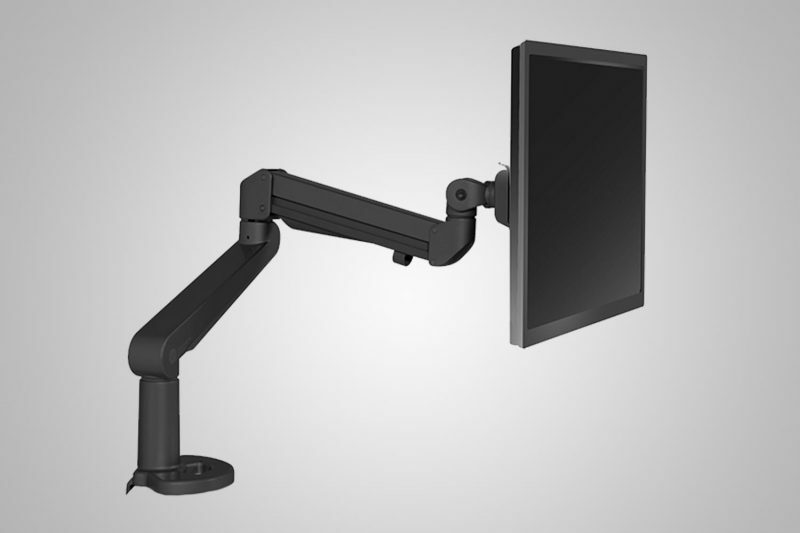 The dual monitor arms were a very nice must have for me to be able to stand upright or sit with my monitors at their correct height. Also, the touch pad program buttons make it super easy to adjust for me and switch to other users when they need to work at my station. Love my stand up desk! Super attractive table that is very well made. We tear it down for trade shows, and it always goes right back up again very easily. Very durable for a modern table. We bought Multitable because of the classy looking table tops and frames. We want to look our best when presenting, and other tables just look cheap. Not Multitable! They don't cut corners for cost. They really produce top quality products and have a great service department whenever we call with questions. The table tops are all 100% recycled post consumer content and very environmentally friendly, which really jives with our "Green Building" message as well. Best standing desk Amazing standing desk. Easy for one person to assemble in about 30 minutes. I recommend the cable management tray to keep things ultra tidy, but the desk is the best quality we have ever seen here at the office. Great Standup Desk and Excellent Company! I love it. Clean look. Feels sturdy. Easy to build. More than enough room to study. I'm 6'2" and feels high enough. Best desk we could find We have 10 of these desks in our office and have replaced the other desk brand completely after we had so many issues with them. This company has been fully answered all our questions and worked with us to get the best price when we purchased 10 together with a few accessories. 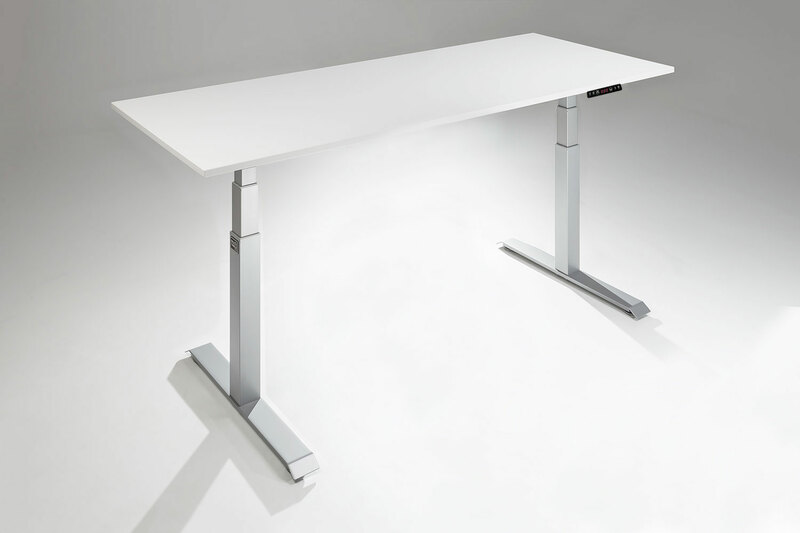 5 stars for customer service, price, and an outstanding height adjustable desk. We will be buying many, many more. High performing desk Very well built and high-performing. I go from sitting to standing at least 10-20 times a day in seconds. The desk never hesitates, and the preprogrammed positions make this an incredible buy. 5 stars for performance! Table top is very nice I really like this new table top at my desk. I really like the fact that the edges do not wear off like others I have used. Exceeded expectations Arrived earlier, great package, easy to assemble, easy to program, sturdy, nice finish, great tabletop. Even the finest details were obviously well thought out. Far exceeded our expectations all around. 5 stars. Better than the other guys We have bought many height adjustable desks over the last few years, and found that Multitable has a better desk. 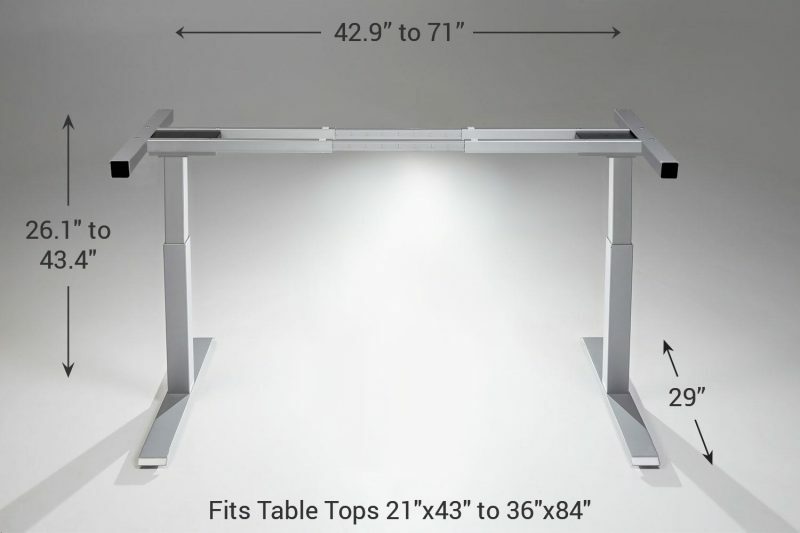 We learned that stability, finish, table tops, and customer service are all top notch every time when we purchase Multitable desks. 5 stars for the desk and 5 stars for the company. 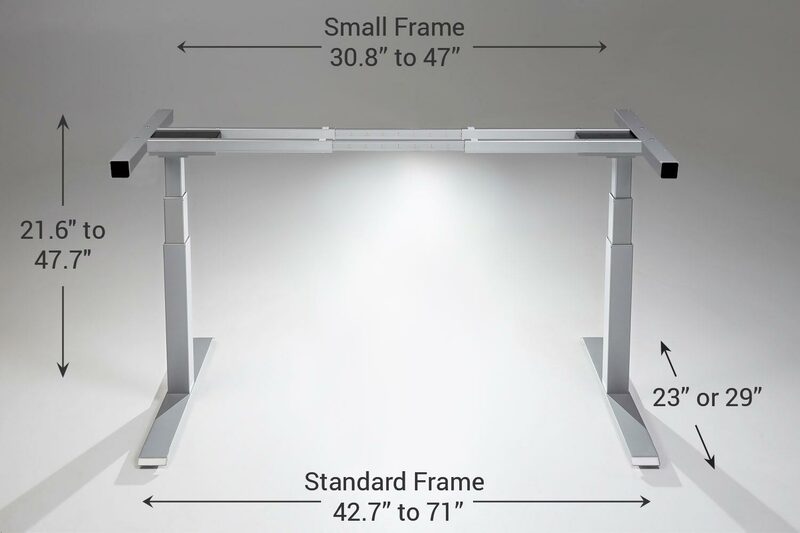 Amazing Value This MultiTable Height Adjustable Pro Desk is exactly what I needed to be able to stand while working on my PC. 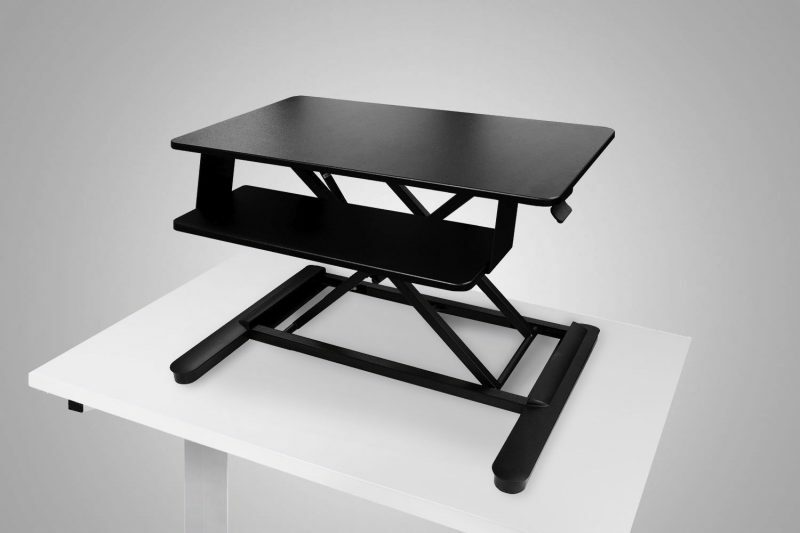 I've been having back pain from prolonged sitting for a long time and looked at a desktop model to add to my current desk. The price for a desktop model and the cumbersome up and down mechanism for a small work area, sent me in search of a desk that raised up the entire work surface. I found Multitable and decided this desk might do what I needed as I'm 6'4" tall and have always had issues with desks being too short even while sitting. 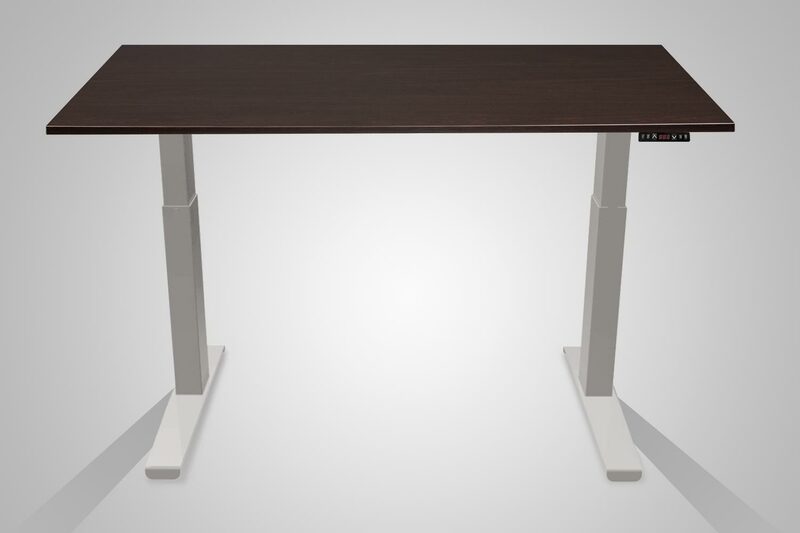 This desk raises up to a perfect height with room to spare. 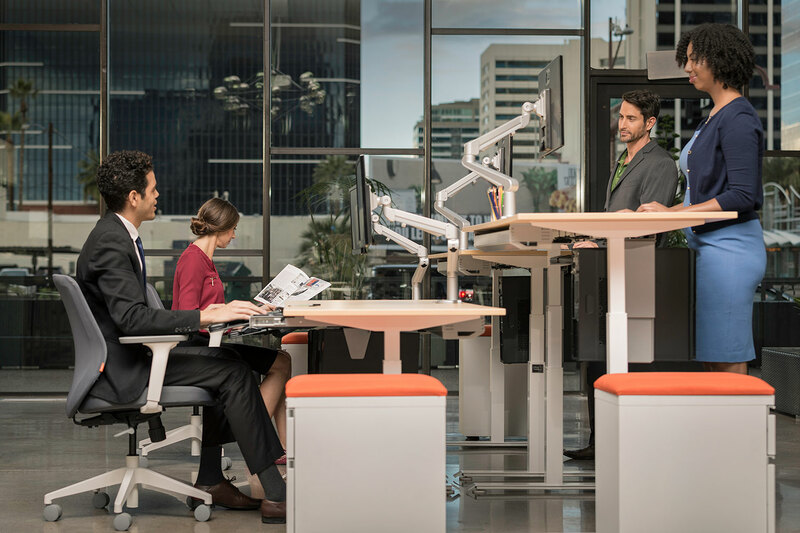 No more hunching over a desk, and push button accurate height settings for sitting and standing made it the right choice. 5 stars for design and quality. Highly recommend I don't normally take the time to go back and review products, but this one deserves the attention. 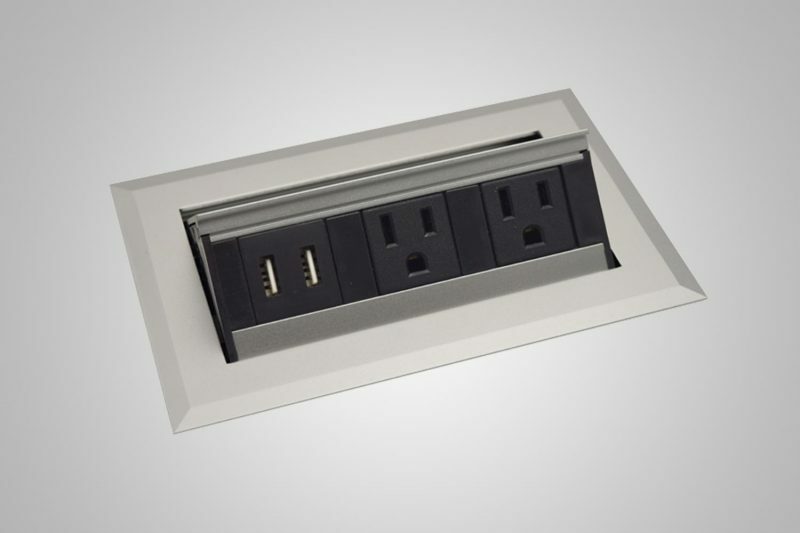 The company provides an incredible product that has the whole office talking about it. My company bought me this desk because of my health issues and problems with my back. The desk looks incredible, is so quiet, and has absolutely made my back feel better all day long. Everyone in the office is so jealous now, I think our company will be offering these for anyone interested. I highly recommend these for anyone who suffers from back pain and slouching disease. It's a life saver for sure. High quality and very stylish. Sorry forgot the stars 5 stars from me. Best purchase I've made in a long time I searched for months and compared all the options. I decided that Multitable was my first choice after contemplating every angle. The price, warranty, capabilities, specs, and certifications, made this the right choice. I ordered one to try, and was surprisingly shocked how awesome the desk truly was. I will be purchasing about 50 more for our office in the months ahead, and highly recommend these desks to everyone else looking and researching like I did. Customer service rock stars! We ordered 5 of these tables for our new office, and one top was chipped in the shipping. The box must have been thrown clear off a truck from the looks of the box. It happens. Multitable was so nice about replacing the top and had it sent out the same day so we could still open our office with all the desks in place and operable. The replacement top came in about 2 days, and was in perfect shape like the others. Really appreciate the girl who helped us. Very good customer service. We're a customer for life! 6 Stars! If I could give 6 stars, I would. I highly recommend these standing desks to anyone who appreciates quality. 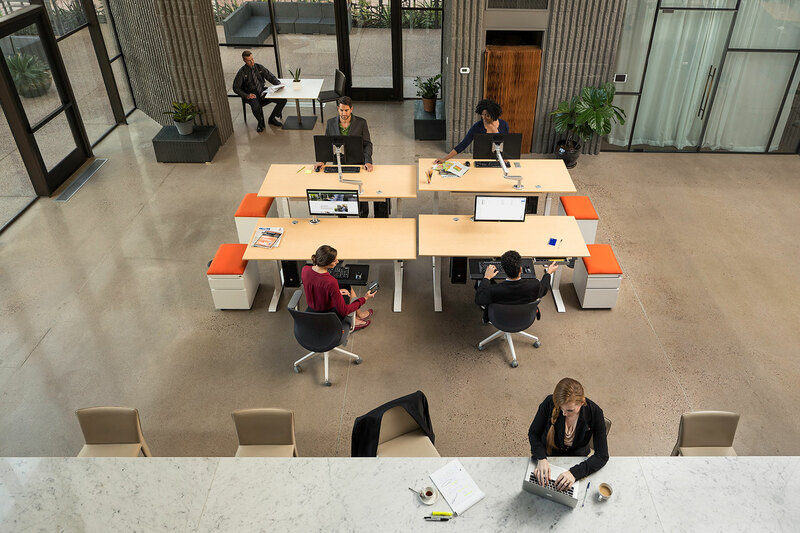 This procurement office only buys Multitable As the procurement manager for a very large firm, I have researched and tried many brands of office desks over the years. Multitable proved itself a few years ago with outstanding customer service and products. These days, we only buy Multitable. A lot of them. No issues, better quality, quieter, and way better looking. Worth every penny and more! I was skeptical about spending a few more dollars on this Multitable height adjustable table, but since I've been using it, I have become a firm advocate! This table far exceeds my expectations for strength, stability, functionality, design, and engineering. I should know, I'm an engineer. Totally worth every penny. Excellent desk - would buy again! I fell in love with this desk at my work and I just had to get one for my home office. 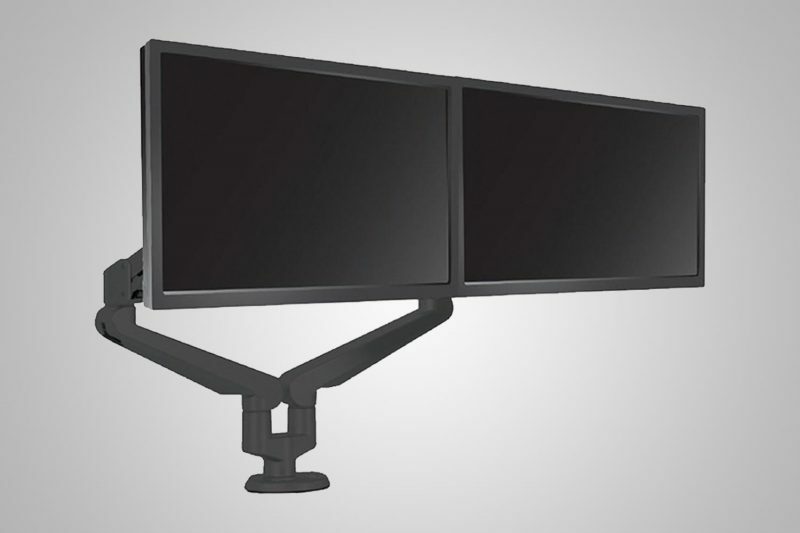 The desk is big enough to fit two large monitors and a laptop (even more if you wanted)! I wanted the memory controller so this was a bonus. It's much smoother than I anticipated and the height adjustment is very quiet. I'm 5'8 and it can go up much taller than I need. It was actually surprisingly easy to install and took only an hour. It is VERY heavy and you will need two people to put the last parts of it together. I am very pleased with the product, look and ease of putting it together. Overall great desk and worth the money! I love this desk! The look, feel, and stability of the desk are all excellent. Being able to adjust the height with the push of a button makes it so much more versatile than the hand crank models. 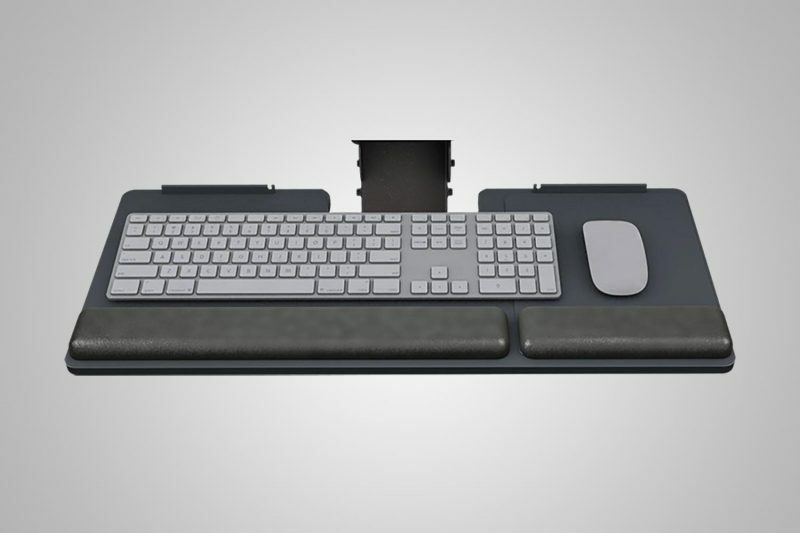 This is the desk we'll be buying whenever we update our outdated cubicles. 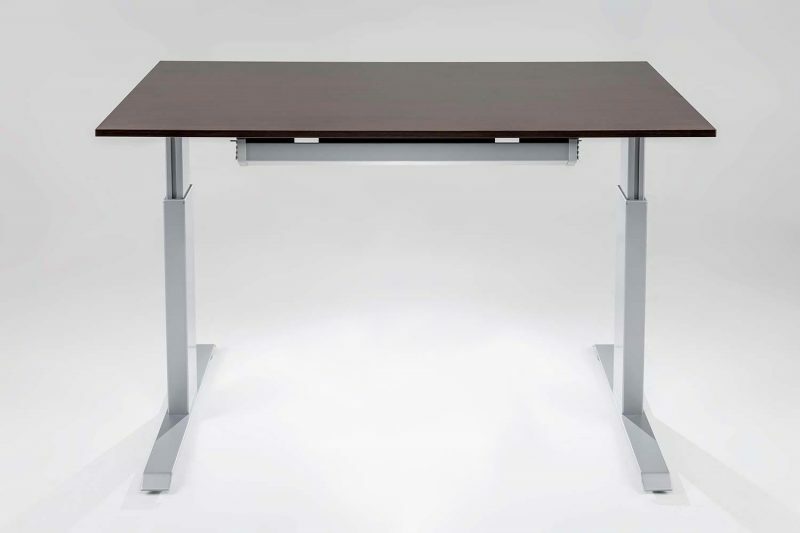 Wonderful product, very sturdy heavy weight desk Wonderful product, very sturdy heavy weight desk. Smooth up and down function, very solid. Directions could be improved but 2 ppl putting it together shouldn't have a problem. Overall this is a great desk! A High Quality Desk for a Great Price Purchased the desk for an Accessible Workstation for individuals that are in wheelchairs. Easy assembly and smooth use. 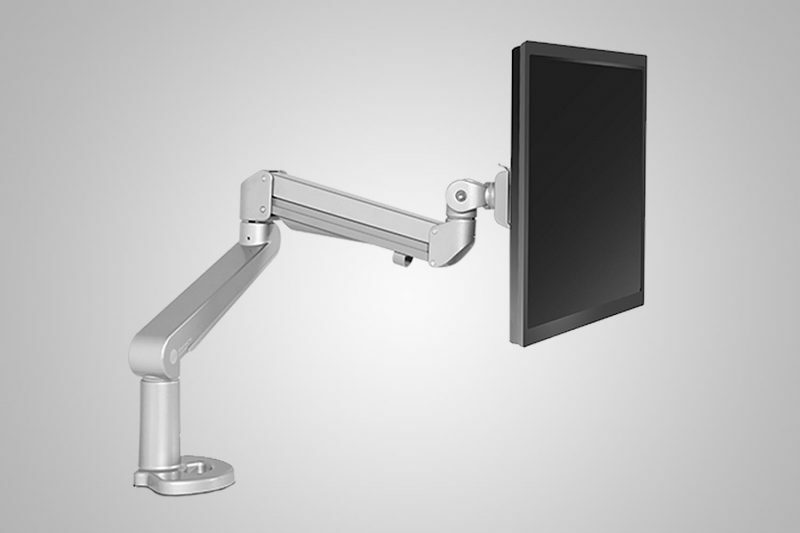 The expanded height adjustable frame makes it perfect for ADA compliance. Great customer service too! I would recommend this! The desk came on time and assembly was extremely easy. It works just as as it says. I love having 3 pre-programmed height options. 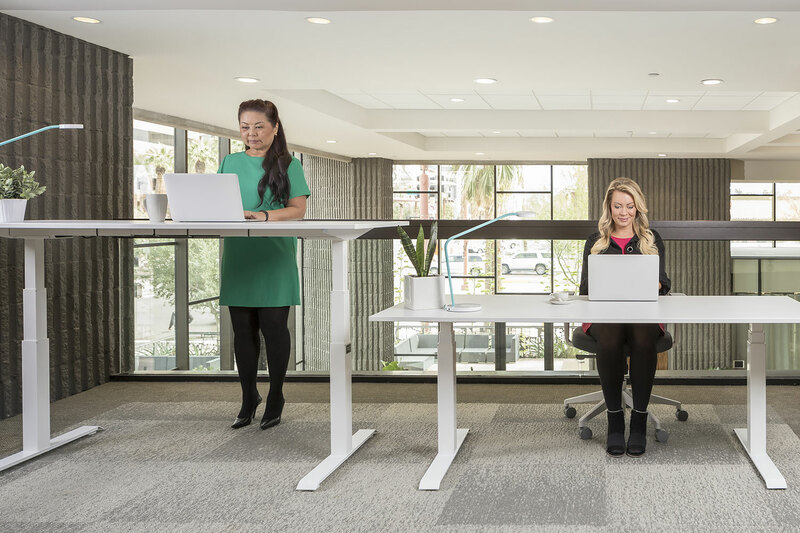 It makes it easier to adjust to my perfect height, whether I'm sitting or standing, I feel much more efficient at work and my back feels great from being able to sit and stand when I want! I would recommend this desk. Customer service is excellent and desk height is amazing Great desk and value! I am 6' 5" and allows me stand up comfortably while working. Customer service is excellent and responded quickly to a question I had. Extraordinary Value, High Quality Couldn't be more thrilled!! I've had this desk for a year now and it has been a life changer. It is so well priced for the size, sturdiness, and look. HIGHLY recommend to anyone looking for a good quality standing desk at a great value. Customer service is also great. 5 Starts!!! All I can report is that it is a terrific desk. All I can report is that it is a terrific desk....very well made, and much nicer than I imagined. Very sturdy at every height, Easy to assemble Very well made, very sturdy, Easy to assemble. 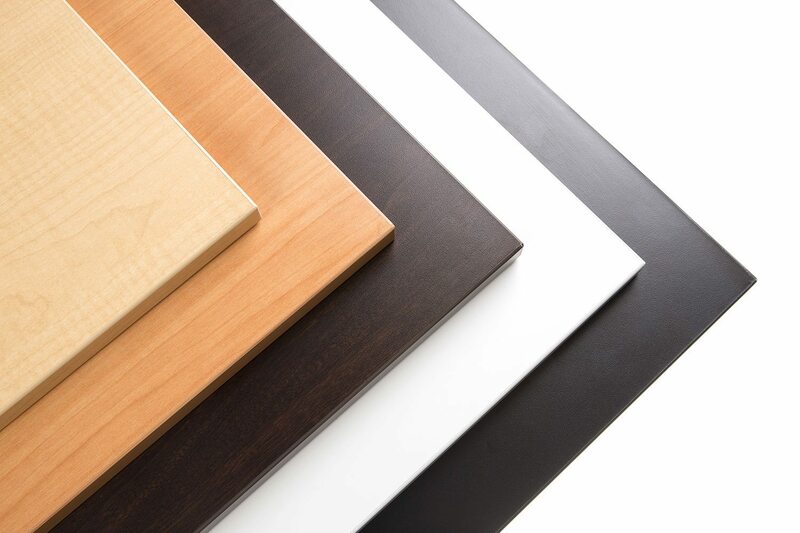 The smoothed edges are very comfortable even with long extended work time at the desk. Value and appearance at its' finest Good heavy duty construction and works great. The table top was also top notch! Great desk! Great desk! Easy to put together. Stable. I love the functional nature of the design. Great Stand up desk This desk is perfect for when I work at home. I love that it is portable and functional. It is also fairly compact so fits in a corner out of the way when not using it. Very high quality on every level. Super Impressed! I purchased the black version of this desk to try out the standing method of working on a computer (I never have previously). I must say that I am incredibly impressed with the quality. The desk seems so spacious even with all my papers and gadgets on it. I am 5'8" feet tall, so it does not have a problem adjusting to the perfect height for me with another 6 to 8" for even taller people. Spending under $600 on this, I was expecting particle board crap for a table top. I am glad to report that this was not the case. The table top was super rich looking and the edges were very clean and smooth. Also, the instructions included are incredibly easy to understand, there are no written words but that is not needed. It will be easier if two people assemble, but it is definitely doable with just one. - Excellent quality, awesome price, spacious, short and tall people friendly. Look no further, buy this desk! I have been using my desk for well over a week now and I love it more every day! I have a lot of experience with sit/stand desks, having used a tabletop version for over two years. I liked it very much. However, when I changed jobs, I had to decide whether to reorder another tabletop riser, or go with something like this. Here's why this desk is far, far superior: 1. My entire work surface travels up and down with me. 2. Ergonomics are correct with this type, not with the other. 3. 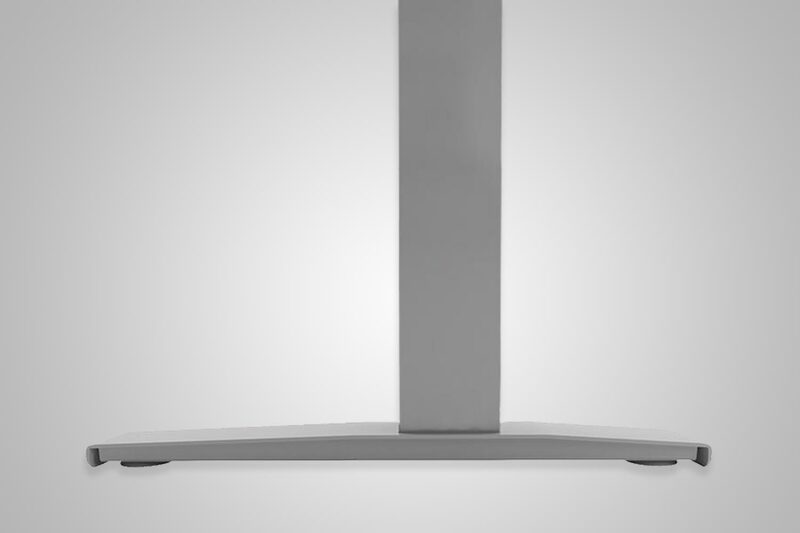 Push button and memory settings allow us to get the exact height that's comfortable. Not a step up or down like the tabletop models. Save yourself hours upon hours of research...this desk is The One! Great desk; Exceptional customer service. Photographs do NO justice for the quality of this product. 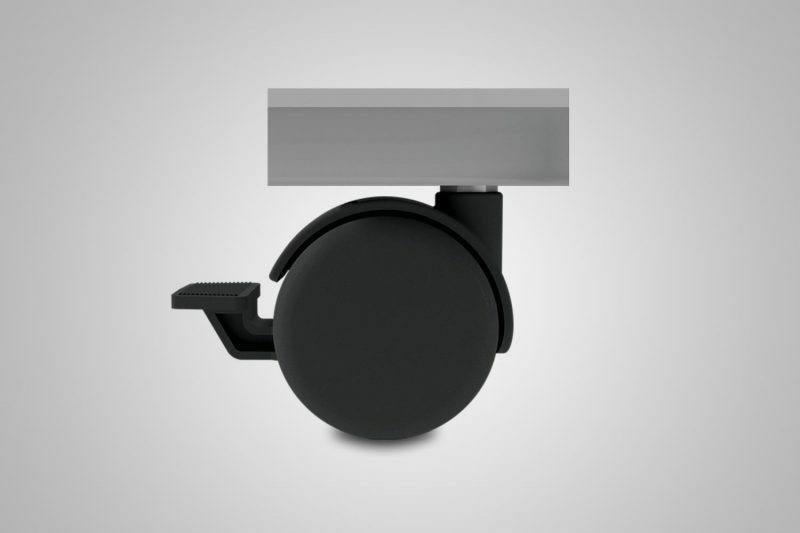 The metal frames are SOLID and makes our Jarvis bases seem like Fisher Price. This desk is such a great deal better than the competitors'. I would post photos but I am embarrassed at my lack of wire management at the moment. 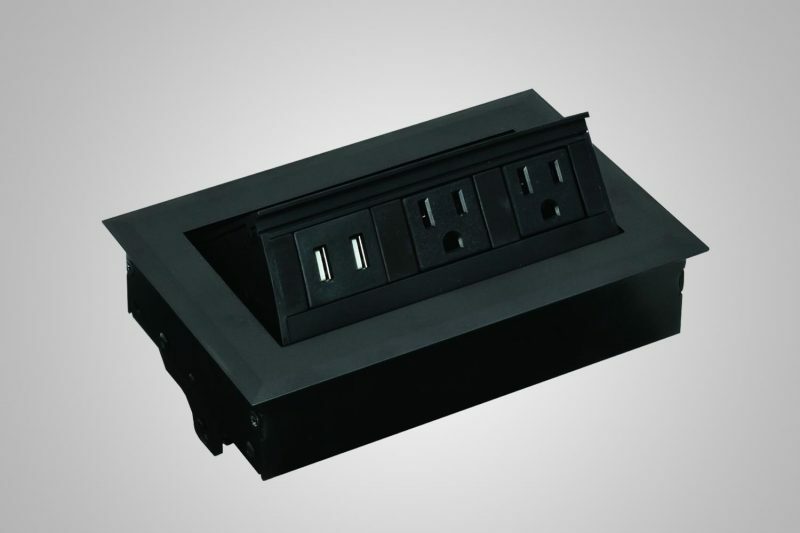 I have ordered the cable management trays after putting the desk together and they should be here in a couple days. I would recommend adding those to the desk to keep all the wires and clutter out of sight. The customer service has been phenomenal throughout our decision process. We highly recommend these desks over all others. 5 Stars Very sturdy and table top surpassed my expectations by far! 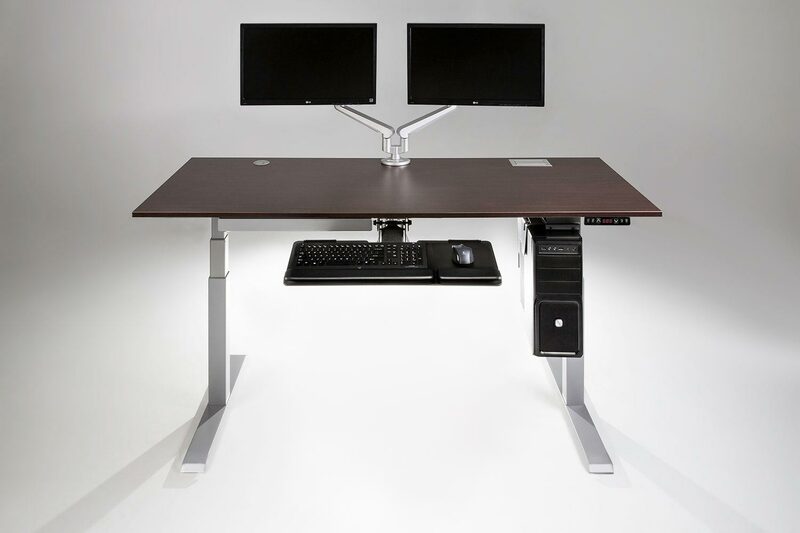 I would definitely recommend this desk to anyone thinking about the sit stand option and I know of 3 others in my office that are going to be getting one in the next few months. These desks are quite extraordinary and make a definite fashion statement for sure. The finish and quality was far beyond anything I've seen here at our office. 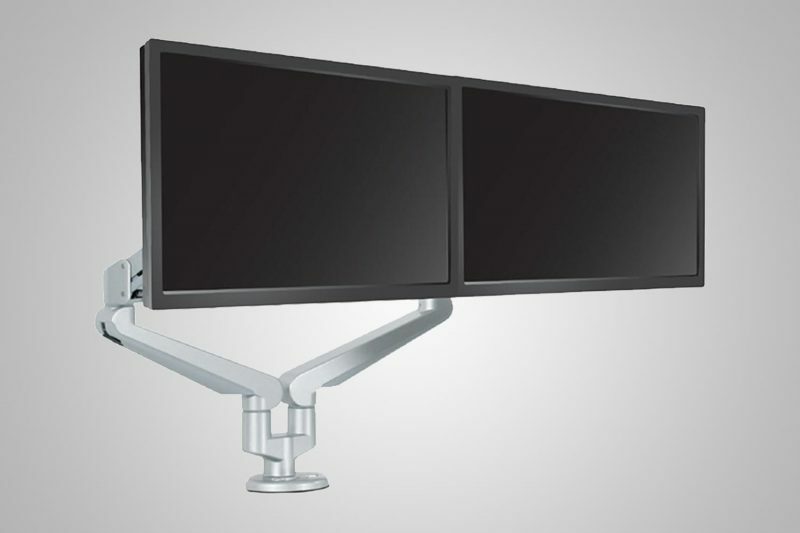 We have about 5 brands of height adjustable desks here, but everyone wants a MultiTable now.